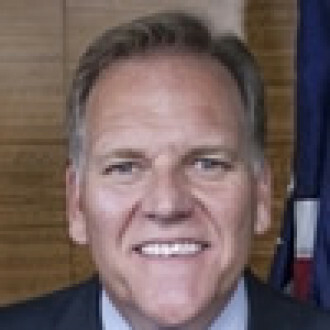 Mike Rogers is a former member of Congress representing Michigan's Eighth Congressional District, officer in the U.S. Army, and FBI special agent. 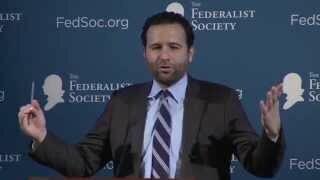 He is a highly sought-after expert on national security issues, intelligence affairs, and cybersecurity policy. He advises multiple boards and academic institutions, working to enhance America’s strength and security. Mike built a legacy as a tireless and effective leader on counterterrorism, intelligence and national security policy from his years of service in the U.S. House of Representatives, where he chaired the powerful House Permanent Select Committee on Intelligence (HPSCI). As chairman of HPSCI, he authorized and oversaw a budget of $70 billion that funded the nation's 17 intelligence agencies. In Congress Rogers was–and remains–a prominent leader on cybersecurity. 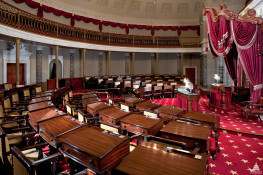 During his tenure he shepherded multiple cybersecurity bills through the legislative process, greatly enhancing America’s cybersecurity posture. In Congress, Mike worked across the aisle with two presidents, Congressional leadership, countless diplomats, military service members, and intelligence professionals to ensure the brave men and women who fight for our nation are equipped with the resources necessary to get the job done. Washington Post columnist David Ignatius remarked, Mike was "a rare example of bipartisanship." He founded the Mike Rogers Center for Intelligence & Global Affairs, within the Center for the Study of the Presidency and Congress. Mike is working to align the interests of government and the technology industry through the Global Digital Challenge Initiative. The Initiative brings together leaders in policy, business, and technology to discuss critical issues facing the United States and the global digital economy. Today, Mike advises multiple American companies on critical issues of national and cybersecurity. He serves as Chief Security Adviser for the global telecommunications provider AT&T. He also sits on the Board of Directors for IronNet Cybersecurity, a leading cybersecurity innovator that provides real time monitoring and analytics. He also sits on the Board of Advisors for Next Century Corporation, a technology company that focuses on innovations in the security and intelligence spaces. He serves on the Cybersecurity Industry Advisory Council for Trident Capital and on the Board of Trustees for MITRE Corporation. Additionally, Rogers is a Senior Fellow at Harvard University, a Distinguished Fellow and member of the Board of Trustees at the Center for the Study of the Presidency and Congress, a Distinguished Fellow at the Hudson Institute, and a member of the Advisory Board for George Mason University’s National Security and Law Policy Institute. Mike is a regular CNN national security commentator, host of CNN’s “Declassified” and regularly contributes to major print outlets such as The New York Times, The Washington Post, and The Wall Street Journal.